Responsive web design is a relatively new concept and almost every client wants their website to be responsive, whether they know what it means or not. Below we’ll explain what responsive web design entails and how your website can benefit from it. Responsive = Mobile Friendly. Responsive web design enables a website to function on all types of devices such as smartphones, tablets and desktops. This flexible design method uses the screen-width to define the type of device being used and then displays or hides components on the website layout to provide a more appealing version for the smart device. Developing a responsive website can be a challenging quest since the WordPress developer needs to adapt the layout using style sheets to fit the screen of various smart devices. Images also need to be more flexible to adjust to mobile download speed restrictions. This means they have to choose smaller images to ensure your website still loads fast even on a slower connection. Keeping the design simple will also enhance speed and download time while increasing receptiveness. When using a smart device such as a smartphone or tablet, responsive web design can detect whether the device is held upright or in landscape mode and adjust the layout accordingly. Responsive web design is an excellent way of making your website accessible to mobile devices since mobile usage is increasing at a speedy rate. According to recent studies, 90% of internet users, access the web from their smartphones. Thus making your website responsive, will ensure more and more users are more likely to browse your site. 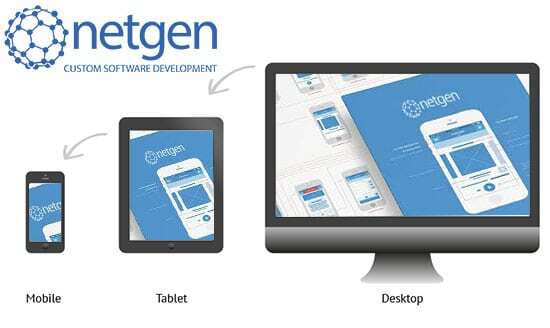 Speak to Netgen, the most reputable and professional WordPress developers in Cape Town, about making your website available on all platforms with a responsive web design.